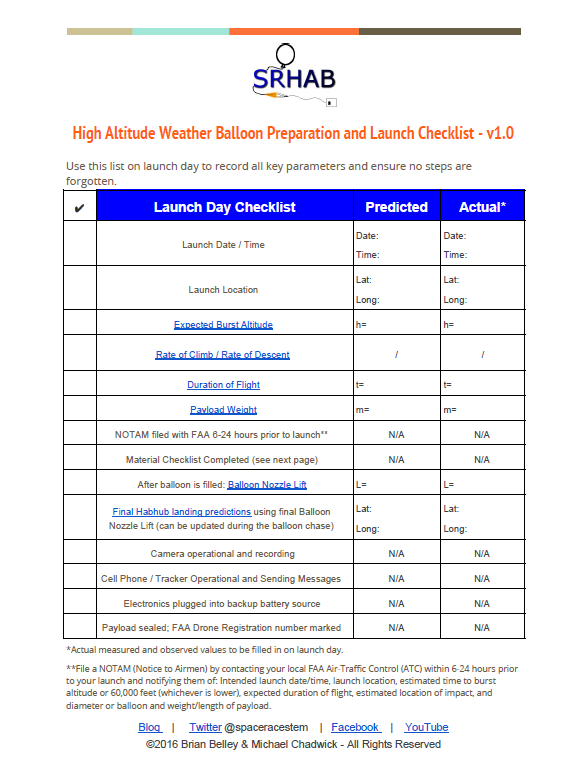 A PDF version of the pre-flight, launch day, and material checklists below can be downloaded here: UG_Checklist_v2.0. Are we missing any key steps? 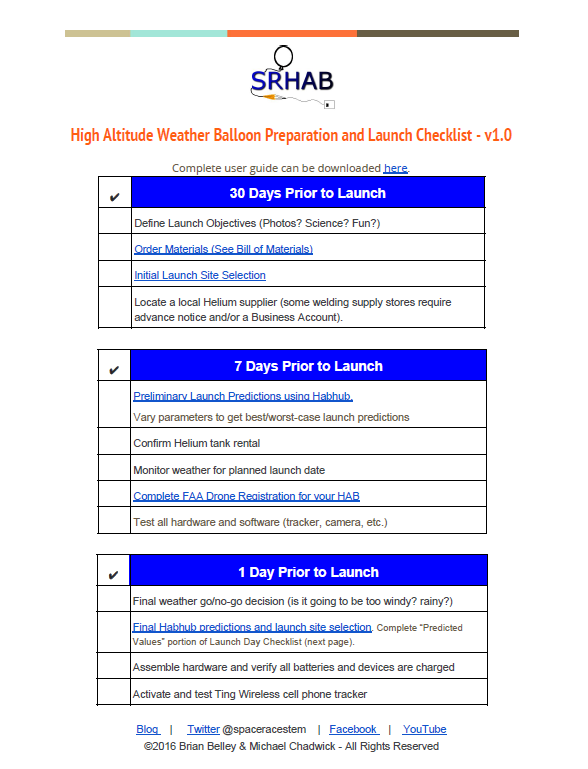 Please let us know so that we can share with others and make HAB launches more likely to be successful and accessible to everyone! The complete HAB user guide can be downloaded here for free. To download the user guide, we are simply asking people to sign up for our mailing list. This will allow us to keep in touch regarding user guide updates as well as to request feedback for improvements for future releases. You can unsubscribe at any time.